Thanks to Ian, I finally order the business card from MOO and it arrive 2 weeks back. Well, it is kinda expensive if compare to any of the local business card cost especially the courier fees but the advantage is it allow multiple images printing and the thickness of the name card is almost double or triple of normal business card. 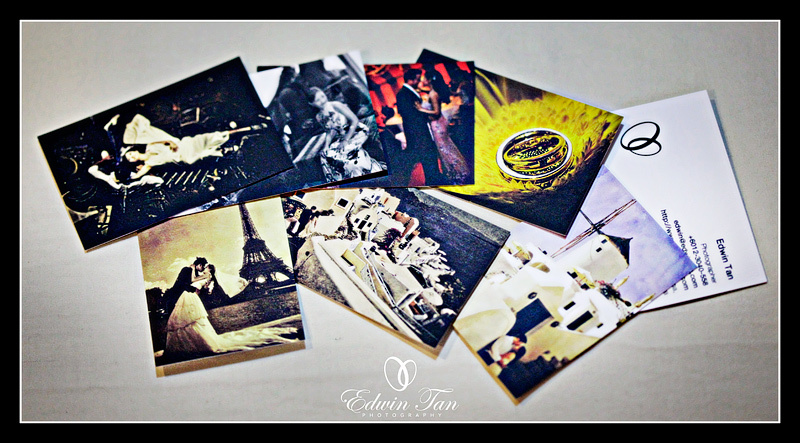 Kevin Tan - Wow…the name cards r jz like post cards…nice~~i wanna get one can ar? Can I have one of Mike & Elayn? Paul Kong - nice name card!!!!!!!! Robin - nice one! wonder malaysia any printing shop can do this quality! Isabelle - This is really nice, can I hv one too?